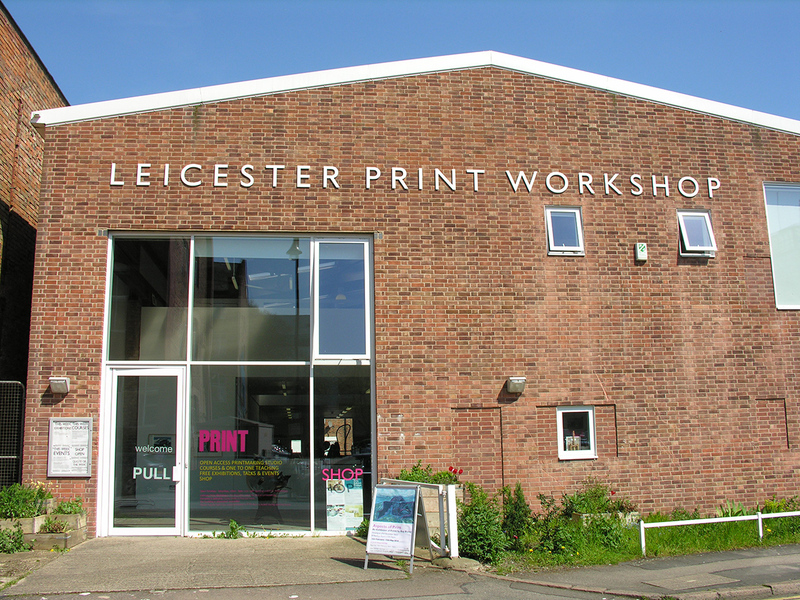 Leicester Print Workshop is inviting artists to use the facilities in our Studio during open hours, on an independent basis, for the first time. LPW is the first large Print Studio regularly funded by Arts Council England to offer open access to non members through a new pay as you go scheme. Artists will have the benefit of access to our fully equipped Studio for Screenprinting, Intaglio (Drypoint, Etching, Engraving), Relief (Letterpress, Lino, Woodcut), Stone and Plate Lithography, Monoprint and Collagraph printmaking. As well as working alongside other practicing artists they will also have the support of experienced print technicians at all times we are open, which is also unique to LPW. Artists and printmakers who are based locally will have the opportunity to use our facilities for a specific project without needing to make a long term commitment, and those visiting the region will be able to enjoy our unique facilities for the time they are based here. We are also encouraging previous Members of LPW to make use of our comprehensive resources on this informal basis. Formerly every artist would have to become a Member for a minimum of a year (at a cost of £102) to use the Studio. Now visiting artists will be able to take advantage of a half or full day here for £20/£40. Our Membership continues to be an important part of our offer and our Members will continue to receive many benefits, such as a lower (hourly) rate to use the Studio, exclusive opportunities to show new work in our annual exhibition, ongoing artistic support, as well as discounts on courses and materials. Our Members will also benefit through this new opportunity, by working alongside artists from outside the region and who have specialisms in other artforms, leading to more cross disciplinary conversations.